Shahid Kapoor is in acute pain. Some days back he sprained his neck severely. 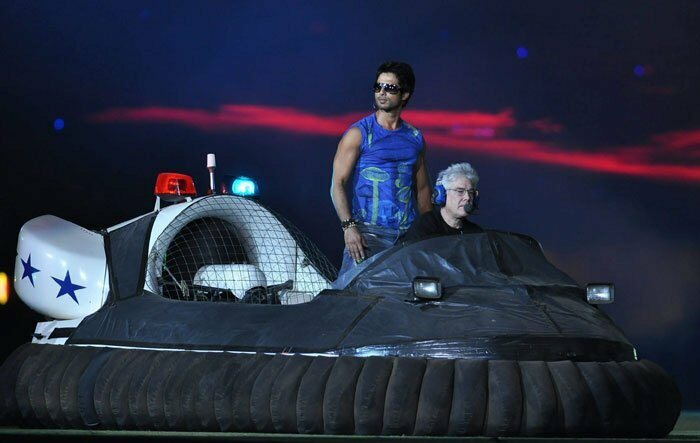 Rather than rest it out, as suggested by the doctors, Shahid performed impromptu at the IPL finals in Mumbai on Sunday. And the fact that he danced his way through the acute pain made his condition worse. 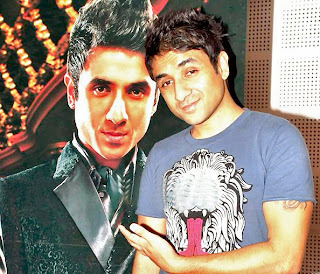 Interestingly, he was a last-minute addition among the other performers namely A R Rahman and Bipasha Basu. Shahid wasn't really supposed to be performing at the IPL finals. Says the actor, "My Dad and I were supposed to head to Europe for a short shooting stint of his film (Mausam). Then that volcano eruption happened in Iceland. So all flights got cancelled. In any case we were only supposed to shoot for a few days and I was supposed to come back to Mumbai. So we decided to cancel the stint in Europe." 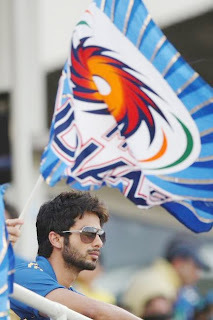 It was then that Shahid decided he would dance at the IPL after all. "I contacted the organizers the Moranis. And they let me perform. I had never performed in a stadium before. I loved the experience. I interacted with the live cricket crowd, went into the crowds sang with them. Great fun." 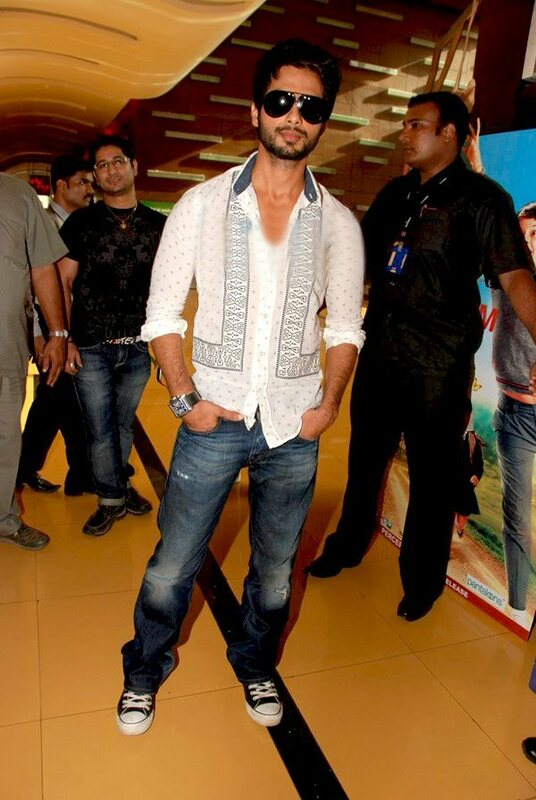 Usually Shahid prepares for at least a week for any of his live performances. "But for the IPL finals I was ready in a day. It was a great platform. Dancing to a live cricket crowd and that too a crowd cheering for the Mumbai team, was an experience I wouldn't have liked to miss. So yes, I guess the cancellation of our shooting in Europe isn't something I regret." Shahid also doesn't regret dancing when he already had a sprained neck. It aggravated his condition manifold. Trying to play down the pain Shahid says, "I guess there's a downside to being spontaneous .I was in a bad condition." Shahid was on painkiller injections. "But I don't mind my condition being worsened. I am just glad I performed in front of that live excited audience. People accuse me of not being spontaneous enough. So here I was actually doing something without much though or rehearsals. And I loved it!" Meet Shahid Kapoor Badmaash Company! 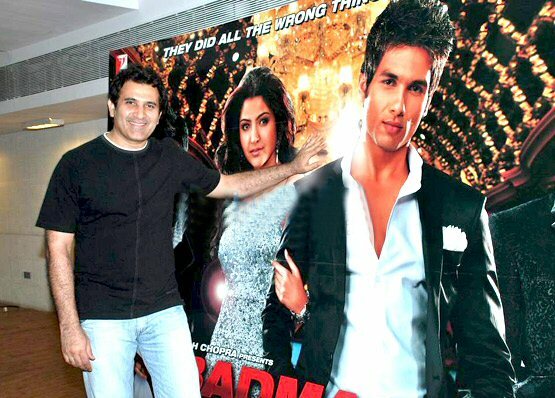 Film editor, Anupama Chopra finds out what drives Shahid Kapoor to join the Badmaash Company. Want to join the Badmaash Company ? Are the four characters of 'Badmaash Company' picked from real life? Not many are aware that Parmeet Sethi, the actor turned director of BADMAASH COMPANY, wrote its entire script with dialogues in six days flat. Yes, you read it right: Six days only. And the four characters in the film - Karan, Bulbul, Chandu and Zing - are known to Parmeet; they're based on real-life characters. Anushka Sharma, who has a lot of hopes pinning on BADMAASH COMPANY, feels that the film would connect big time with the youth of today, who resort to an easy route to attain name, fame and riches overnight. "That's what attracted me to the film. Honestly, I wasn't even aware that Parmeet had written the script and was supposed to direct it, since Adi [Aditya Chopra] just asked me to go through it. It was much later, when I read the script and expressed my eagerness to be a part of the film, that Adi revealed the director's identity," Anushka tells me. Parmeet reveals that he got tired of television and was keen on pursuing film direction. "There's a little of me in each of those four characters," Parmeet says, who approached Yash Raj with his script the moment he was ready. The fact that Adi liked it and signed a 3-film deal with Parmeet, says it all. Parmeet feels that BADMAASH COMPANY offers loads of entertainment, but narrated in a new format. "Even the choice of actors proves that I didn't want to take the predictable path," he says. What about Shahid? He's known to act 'difficult' with his directors. "That's not true at all. Not once did he interfere or throw starry tantrums. In fact, he pushed his father's film MAUSAM ahead to accommodate BADMAASH COMPANY. That says it all," Parmeet refutes the rumour. New Delhi, April 19 (IANS) Shahid Kapoor-starrer "Paathshala" and Ram Gopal Varma's "Phoonk 2" have failed to set the ticket windows buzzing. While the former got an average initial footfall thanks to Shahid's presence, the horror seems to have fallen flat. The lukewarm response from audiences comes despite round-the-clock promotional activities for both the movies. While Shahid visited various schools to promote "Paathshaala", Varma organised a digitally monitored scare dare contest for anyone who would watch "Phoonk 2" alone in the movie hall - but in vain. "The content for both the movies has been average. While 'Paathshaala' was good with around 50 percent occupancy over the weekend, 'Phoonk 2' wasn't that good enough with just 20 percent footfalls," Amit Awasthi, manager (programming and operations) of Spice Cinemas, told IANS. "It was only Shahid Kapoor's presence that brought in the initial footfalls for 'Paathshaala," he added. Amit Shah, chief manager (programming) of DLF DT cinemas, also had something similar to say.
" 'Paathshaala' was an ok affair and brought in on an average 35 percent footfalls while 'Phoonk 2' has been disappointing with only 15 percent occupancy. The movie did not meet our expectations despite its hype," said Shah. The debut production of choreographer Ahmad Khan, "Paathshaala" is the directorial debut of Milind Ukey. Revolving around the commercialisation and unethical practices related to the education system in the country, it also stars Nana Patekar, Suniel Shetty and Ayesha Takia. Popular child actors Swini Khare, Ali Haji, Dwij Yadav and Avika Gor play pivotal roles in the movie. "Phoonk 2", on the other hand, is a sequel to Varma's earlier film "Phoonk - The Black Magic Story". It has been written and directed by debutant Milind Gadagkar. Actors Sudeep, Amruta Khanvilkar and child actor Ahsaas Channa play key roles in the movie that captures the fears of a family hostage to a spirit seeking revenge. "Both movies have nothing much in terms of business. There's no content in them," said Tusshar Dhingra, COO of Big Cinemas. Added a source from PVR cinemas: "Both movies have been average but 'Paathshaala' is better in comparison to 'Phoonk 2'. While the former got close to 30 percent footfalls, the latter got close to only 20 percent occupancy. The business for both, however, is almost over." Said Yogesh Raizada, corporate head (cinemas) of Wave Cinemas: "The weekend was average, as the movies have been average. While 'Paathshaala' brought in around 40 percent occupancy, 'Phoonk 2' has been close to only 30 percent." PAATHSHAALA brings back those dark memories because the film encapsulates these two incidents on celluloid. The problem with the film is, it gets very real at times, but gets farcical as well. The participation of kids in media activities doesn't have a hammer-strong impact. The chilly portion and the director capturing it on camera, or the press photographer munchingsamosa as the kids get ready with a pyramid, looks unreal, despite being identifiable incidents. Even the climax is confusing. What is Nana saying in the concluding reels lacks precision. He is one of the few top actors in the actors in the industry today who is enjoying as many as three releases to his name in the first half of 2010 - Chance Pe Dance,Paathshaala and Badmaash Company. Also, if Milenge Milenge eventually releases soon then this number may well become four. Still, the actor chooses to call himself as 'unemployed' for the duration that he is not facing the camera. Through with the shooting of all aforementioned films, he has started preparing himself for his next film that goes on floors - Mausam (tentatively titled). Till then, he is happy to be getting his look in place (noticed the bearded look?) and promoting his last lot of films which are ready to arrive one after another. Joginder Tuteja catches up with the young man who has come a long way in the last 7-8 years and is confidently paving his way to find a place in the elite list of top superstars as he marches towards completion of a decade in the industry. You have so much work in hand, right from seeing the release of your films, their promotion and preparation for your next biggie. Still, you call yourself unemployed. Isn't that paradoxical? 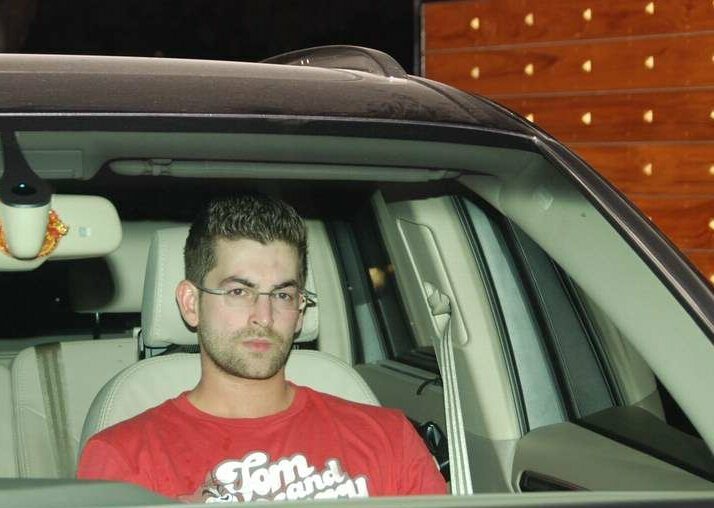 Arrey yaar ek actor ki life badi ajeeb hoti hai. When you have too much work then you want to relax. At that time you feel ki chalo bahaut ho gaya, ab bujhe picture nahi karni kuch waqt tak. But then when you begin to take a break, you feel very uncomfortable. You start feeling a lot unemployed even though you know that there is something going to happen soon. Since I am not used to 'not working' for a good period of time, it becomes a very uncomfortable situation for me. True man, but it all becomes very ironic because the fact is that I am not used to it. It is almost like going down from the fifth gear to the first gear. The whole pace of your life changes because when you are doing filming or promotion, at least you are surrounded by people. Otherwise you become all alone. Coming to Paathshaala, there have been so many speculations around your presence in the film. Since the film is about children, there were rumours about you making only an 'extended guest appearance'. Let me put it this way that Paathshala may be small in comparison to some other films that I am doing and I may not be a quintessential hero here. However, it isn't as if I have a guest appearance in the film, as has been speculated by some. I have a substantial role that lasts for around 50 minutes in the film and that too from start to finish. I guess that's a good enough presence, isn't it? May be that's the reason why Ahmed and Co. are promoting this film as a Shahid starrer. Doesn't that worry you because at the end of the day, you are not the central protagonist here? 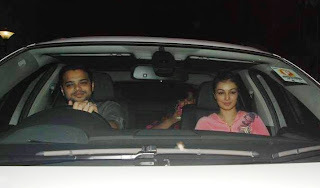 See, Ahmed is like a dear family member to me, and his wife Shaira, who is producing the film, is also very close to me. When opportunity came my way, I wanted to extend my support to the fullest. Having said that, after hearing the subject I realised that they were making something really relevant. I believe the message in it and I want that to reach out to the people. If you look at the education system, there are so many different kind of issues that kids are facing today. We should think about this because children are our future. I was moved by the very fact that that someone was making a commercial film about this rather than a documentary. You sound emotionally charged about the whole experience. Exactly. I told Ahmed and Shaira to use me as much as they want for the film's publicity. If using my face gets even 10 more people to see the film then I would feel that I have been a part of something really relevant. It is a noble effort and I feel fortunate to be a part of it. I have seen the film and I am happy to have done it. Well, since you are so excited about the film, can you also confirm if the film is akin to Mohabbatein meeting 3 Idiots? After all the promos give that impression. (Comes up with a hearty laugh) Now that's the most original reference that I have heard. Maine Taare Zameen Par ka reference point toh suna tha but yeh first hai! Come on, there is no similarity here. We had shot Paathshaala well before the release of 3 Idiots. On the other hand, Mohabbatein was a love story about three students. Haan yaar theek hai, yahan bhi ek school hai but then that's about it. When people watch Paathshaala, they would realise that there are no similarities with anything that have seen earlier. May be as a journo, you want to come up with an angle but sorry, I don't see any broad generalisation here. 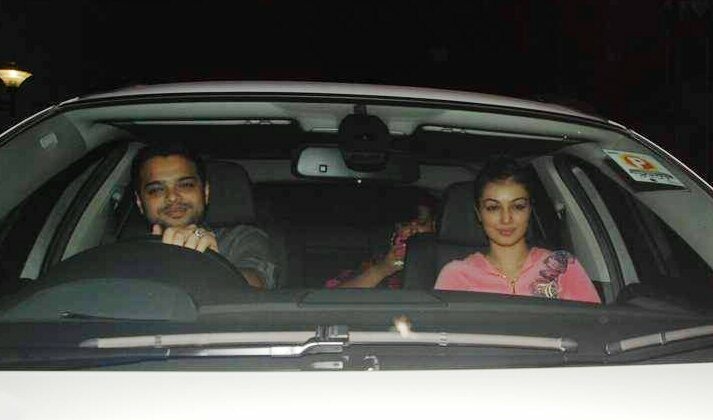 In the film, you have Ayesha Takia as your co-star. Do we see any revival of Dil Maange More romance here? No, not at all. In the film, we are playing just colleagues. There is no romance angle in the film at all. Scope hi nahi hai! New Delhi, April 14 (IANS) It was a holiday on account of Ambedkar birth anniversary Wednesday, but students of the Gyan Bharti School here were eager to attend school. Their reason - "Not every day Shahid Kapoor comes to school". The young Bollywood heartthrob came visiting the Gyan Bharti, the school he attended when he was living in the capital. Students of all ages were eagerly waiting to catch a glimpse of their favourite actor. 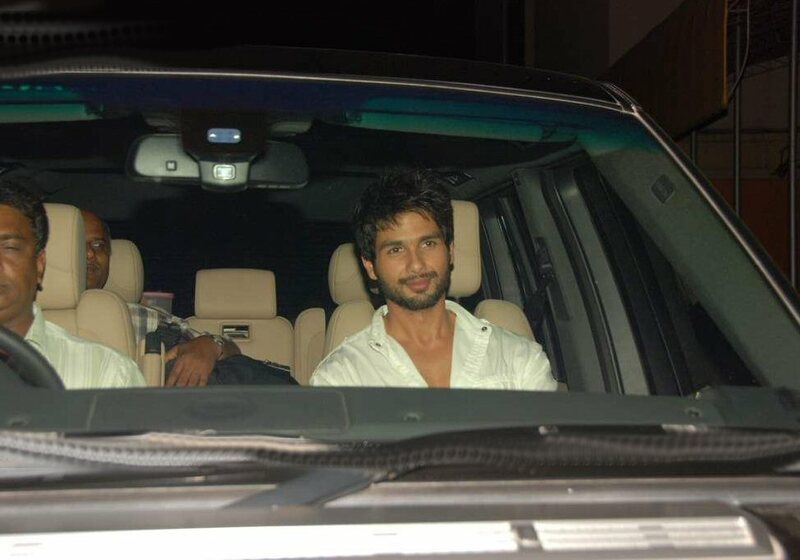 "Today is my holiday but I wanted to see Shahid Bhaiya. He is my favourite actor and it's not every day that Shahid comes to our school," a thrilled 11-year-old Anush Verma said. Geetika Chauhan, 10, told IANS: "I would have slept till late but I was told that Shahid was coming. I love him so much." It was a plain hysteria when the casually-dressed 29-year-old actor, wearing blue jeans and white T-shirt with a black jacket entered the school premises, looking very much like a school boy himself. He went around the school to relive old memories and then entered the area where the students and teachers were waiting for him. Thunderous applause and shouting greeted him to the school where he studied till Class 4. "I'm proud to be a part of this school. My journey started here and the response I've got is simply overwhelming. 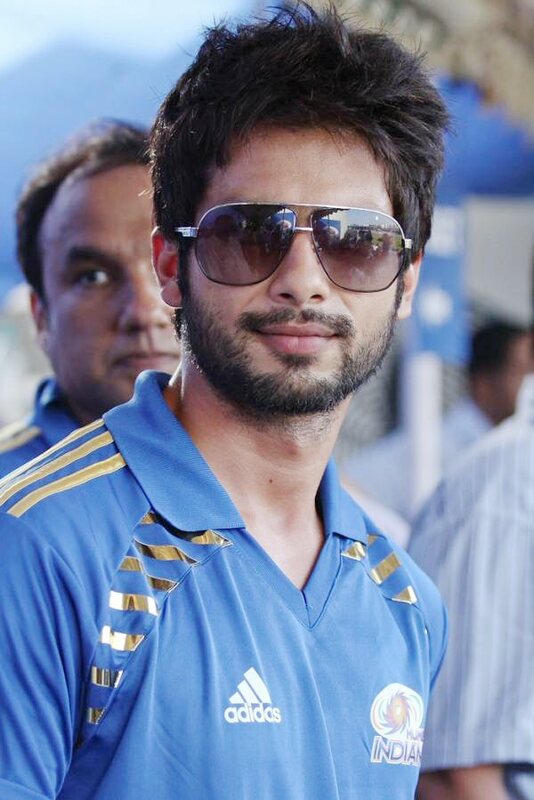 I feel so nostalgic and it's a very special feeling to be back here," Shahid said. "I still remember the time when I used to come to this school holding my grandfather's hand, asking the guard to let me enter because I was usually five minutes late," he added. The actor was at the school to promote his forthcoming film "Paathshaala" which focuses on the issues related to the education system. 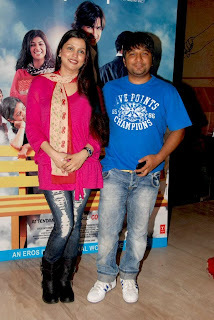 It is slated to release Friday and also stars Nana Patekar and Ayesha Takia. Shahid plays the role of an English teacher in the film. "The film talks about very important issues regarding children, education and schools. Initially, I was just supposed to do a cameo but then I realised that if I do a bigger role, I will be able to speak about it better, take it to more people and create more awareness about the topics it speaks about," he said. Shahid was also quizzed about his childhood crushes, to which he replied: "I was in this school only till Class 4 and at that age you are usually going through a phase when girls don't matter to you and you are only happy with your gang of boys." "So I wasn't after anyone that time and similarly no girl was after me either," the actor, who is currently sporting a bearded look for his film "Mausam", quipped. What stands out in the soundtrack of Shahid Kapoor-starrer "Badmaash Company" is the absence of female singers. But apart from this anomaly, composer Pritam Chakraborty has stuck to his trademark style of energetic, fast-paced music. The album contains four originals and two remixes. The soundtrack starts off with a song called "Ayaashi" sung by KK. It is a catchy song with a heavy use of percussion. The upbeat track has all the qualities of becoming a hit with the youngsters. It also has a remix version, which has nothing new to offer. Next is a slightly off-the-road song "Jingle jingle", which has been crooned by Mohit Chauhan in his youthful voice. It begins with the strumming of the guitar and also has elements of rap in parts. The thematic lyrics make the song interesting. Then there is "Chaska" sung by Krishna. It has a slight rustic flavour but fails to generate interest. It ends up as a very ordinary song. "Chaska" also has a remix version, which is just a little faster-paced than the original. With "Fakeera", the album takes a Sufi turn but with a rock base. Sung by Rahat Fateh Ali Khan, it is an amalgamation of Indian vocals and westernised music. It is quite an appealing track. The last number is the film's title track by Benny Dayal. The song has influences of music from James Bond films and is also musically similar to the first track "Ayaashi". The track is sure to become a regular at DJ consoles. On the whole, the music of the film is average. 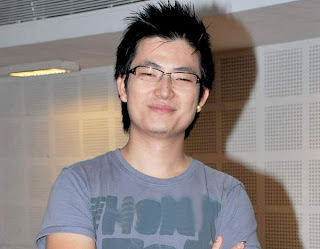 Pritam has not experimented much and mostly sticks to his tried and tested style. The songs, however, could become hits on the dance floor. यशराज बैनर की नई फ़िल्म 'बदमाश कंपनी' को संगीतकार प्रीतम ने अपने संगीत से सजाया है. इस फ़िल्म में मुख्य भूमिकाएं निभाई हैं शाहिद कपूर, अनुष्का शर्मा, वीर दास और मियांग चैंग ने. फ़िल्म का निर्देशन किया है परमीत सेठी ने. प्रीतम कहते हैं, "फ़िल्म का नाम ही बदमाश कंपनी है तो ज़ाहिर है ये बदमाशियों से भरी है. इसलिए गाने भी बदमाशियों पर आधारित हैं." वो कहते हैं,"अय्याशी और पैसे के चस्के जैसे विषयों पर हमने गाने बनाए हैं. ये सब बहुत मज़ेदार हैं." प्रीतम ने यशराज बैनर की फ़िल्मों के लिए पहले भी संगीत दिया है. इनमें शामिल हैं 'न्यूयॉर्क' और 'दिल बोले हड़िप्पा'. बदमाश कंपनी में पाँच गाने हैं लेकिन मेरा सबसे पसंदीदा गाना है फ़क़ीरा. प्रीतम कहते हैं, "बदमाश कंपनी में पाँच गाने हैं लेकिन मेरा सबसे पसंदीदा गाना है 'फ़क़ीरा'." प्रीतम बताते हैं कि फ़िल्म के दोनों मुख्य कलाकार शाहिद और अनुष्का बेहतरीन अभिनय करते हैं. बदमाश कंपनी चार ऐसे लोगों की कहानी जो कि सिर्फ़ पैसा कमाने के मकसद से एक कंपनी खोलते हैं और प्रशासन को चकमा देकर ख़ूब पैसा बनाते हैं. शाहिद कपूर को जिंगल जिंगल गाना बहुत पसंद है. शाहिद कहते हैं,''जिंगल जिंगल' आज के युवा और उनकी आकांक्षाओं को दर्शाता है." उनका कहना है,"फ़क़ीरा को राहत फ़तेह अली ख़ान ने गाया है और ये भी मुझे बहुत पसंद है. इस गाने में एक ख़ास तरह की रूहानियत है." फ़िल्म की अभिनेत्री अनुष्का शर्मा मानती हैं कि वो बहुत ख़ुशक़िस्मत हैं कि उनकी पहली फ़िल्म 'रब ने बना दी जोड़ी' की तरह ही उनकी दूसरी फ़िल्म का संगीत भी अच्छा है. भारत की शिक्षा व्यवस्था पर नज़र डालती फ़िल्म पाठशाला करते हुए शाहिद कपूर को अपने स्कूल के दिन ख़ूब याद आए. मिलिंद उइके निर्देशित ये फ़िल्म सरस्वती विद्या मंदिर नाम के स्कूल की कहानी है. इस स्कूल के प्रिसिंपल का किरदार नाना पाटेकर ने निभाया है और इस विद्यालय के अध्यापक हैं शाहिद कपूर, आयशा टाकिया और सुशांत. शाहिद कपूर फ़िल्म के बारे में कहते हैं, "ये फ़िल्म अध्यापकों के उस संघर्ष की कहानी कहती है जहां वो बच्चों की पढ़ाई और खेल-कूद के स्तर को लगातार सुधारने की कोशिश करते हैं लेकिन इस प्रयास में उन्हें कई दिक्कतों का सामना करना पड़ता है." शाहिद कहते हैं कि फ़िल्म में अध्यापक पढ़ाई, खेलकूद और बाक़ी अन्य गतिविधिओं के बीच एक सही संतुलन बनाए रखने के लिए जद्दोजहद करते रहते हैं. शाहिद कपूर ने कहा, "इस फ़िल्म में कई ऐसे छोटे-छोटे लम्हे हैं जो छात्रों की समस्याओं पर रोशनी डालते हैं. उदाहरण के लिए अचानक स्कूल की फ़ीस बढ़ जाना. कुछ बच्चों के माता-पिता अचानक बढ़ी फ़ीस तय वक़्त पर नहीं चुका पाते और इससे बच्चे स्कूल में काफ़ी शर्मिंदा होते हैं." फ़िल्म में अध्यापक बनीं आयशा टाकिया कहती हैं कि स्कूल में बिताए लम्हें हमेशा याद रहते हैं चाहे वो सहपाठी हों या एक अच्छा अध्यापक. टाकिया कहती हैं, "जब आप स्कूल में होते हैं तो आप चाहते हैं कि आप जल्दी से बड़े हो जाएं लेकिन बड़े होकर समझ आता है कि स्कूल में बिताए साल ही आपके जीवन के सबसे यादगार लम्हे थे." शाहिद कपूर मानते हैं कि आजकल की स्कूली शिक्षा की दशा पर बन रही फ़िल्म 'पाठशाला' एक चुनौती-भरी कहानी है. शाहिद कहते हैं, "आमतौर पर लोग शिक्षा व्यवस्था जैसे मुद्दों पर फ़िल्म नहीं बनाते क्योंकि उन्हें लगता होगा कि ये बोरिंग और डॉक्यूमेंट्री जैसी होगी. ऐसे विषय को मंनोरंजक बनाना एक चुनौती तो है."